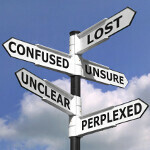 Those with a Windows Phone 8 handset will be happy to find out that an update to Maps is already on the way. This is no wisp of an update as it weighs in at 286.2MB. The update supposedly brings better detail to the maps and improves information on traffic. The only way to check for this update is to follow this helpful set of directions: Settings> Applications> Maps> Check for Updates. That might be a little more useful than your Little League coach telling you to take two and hit to right. Look, if the new Maps update is waiting for you after you click on "Check for Updates," all you will need to do is click on "Update" and the rest will be done for you. The Maps application for Windows Phone 8 works offline which is great if you've lost your data signal for some reason. Mapping applications have been a big story in 2012, mostly due to the disaster that was Apple Maps. But Google Maps for iOS really came out of the gate like a top-rated thoroughbred. Considering that over 10 million iOS users elected to install the app in the first 48 hours, you have to wonder if Apple would have been better off just leaving Google Maps on the phone in the first place. Sure, the whole mapping story has garnered some publicity for Apple, but not the kind that the Cupertino based tech titan wants to see. Yeah, we seem to have digressed a little. Let's get back on track. 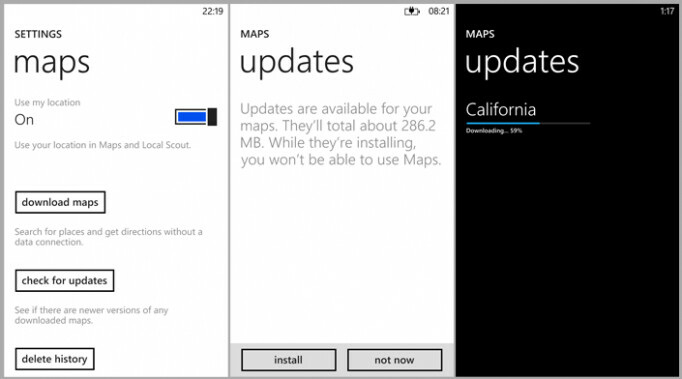 There is an update for the Windows Phone 8 mapping application and you should grab it now. Let us know if you've installed it and what changes you can discern from it, in the comments box below.